Beijing ZBSD Patent &Trademark Agent Ltd. In early December, after China (Shanghai) Pilot Free Trade Zone (PFTZ) operating for more than two months, the IPR protection and management system in the zone has taken shape initially. The administration and enforcement of patent and copyright will be covered by the Management Committee of PFTZ, the trademark administration and enforcement will be covered by the industry and commerce administration which was established in the zone. In terms of IP protection, the zone has attempted to resolve IP dispute via judicial, administration and the third party. On September 18, the State Council issued an overall plan for the China (Shanghai) Pilot Free Trade Zone, clarifying that a joint supervision and enforcement system will be implemented to cover the areas of intellectual property, industry and commercial administration, and tax administration to enhance efficiency. In addition, an intellectual property related dispute resolution and assistance system would be established. On September 29, China (Shanghai) Pilot Free Trade Zone was formally established. The Measures for the Administration of the China (Shanghai) Pilot Free Trade Zone was formulated by the Shanghai Municipal People’s Government that day. The measures put forward to establish a management committee to coordinate the relevant administrative matters of the zone. Its responsibilities include investment, trade, IPR and other fields. The Article 8 of the measure defines that the Customs, industry and commerce administration, quality inspection administration and public security organ to set up offices in the zone. In terms of institution setting, the measures put forward that management committee exercise the power of administrative punishment, administrative inspections and so on. The IP office in the zone exercises the power of administrative punishment on copyright and patent violations according to laws and regulations. The measure also supports Shanghai arbitration organizations to improve arbitration rules and enhance their professional level and internationalization degree. The IPR matters covered by the committee are mainly patent dispute resolution and registration of foreign publishing etc. The Shanghai Industry and Commerce Administration takes responsibility for the trademark matters in the zone. The joint enforcement administration would also be established to exercise the power of punishment and inspection, according to the Shanghai IP Office commissioner Lv Guoqiang. “The IPR protection in the zone reflects in judicial and administration protection, and the IP dispute resolved by the third party would also be encouraged,” said Lv. “We should make efforts to innovate administrative enforcement system, judicial protection system and decide whether to strengthen IPR protection stricter than out-zone.” Lv added. Mr. Xiao and Mr. Li who run business of communication equipments used “Mi” and such symbols on their phones to sell. This action infringed the exclusive right of registered trademark of Xiaomi Corporation. Recently, Beijing Fengtai People’s Court made the first-instance judgment to the first litigation of the trademark infringement of Xiaomi phones, and judged the two individual-business to stop infringing and compensate Xiaomi Corporation for the economic loss and reasonable costs (a total of about 14 thousand RMB). Xiaomi claimed that Xiaomi Corporation is the trademark register of No.8911270. Xiaomi found that Mr. Xiao and Mr. Li who run business of communication equipments use “Mi” and such symbols on their phones to sell. This action infringed the exclusive right of registered trademark of Xiaomi Corporation. Mr. Xiao and Mr. Li rented a booth in a market, so Xiaomi thought that the market didn’t exercise the management responsibility and constitute joint infringement. Xiaomi requested the defendants to stop infringing, eliminate bad influence and compensate economic loss for 50,000 RMB. The market argued that Mr. Xiao and Mr. Li’s rental booths didn’t belong to the market. The market only rented one hall, and the rest places belong to a company in Beijing. So the market didn’t agree with the plaintiff’s claims. Mr. Xiao and Mr. Li argued that Xiaomi’s notarial procedure was illegal. During the notarial procedure, they were not in uniform and didn’t show their IDs. Besides, it was too long between the purchase time and the time when the notaries showed the notarization; In addition, the compensation amount (50 thousand) was too large. After the trial, the court thought that seeing from the visual effect, there were no significant differences between the symbols on the phones involved in this case and trademark No. 8911270. These belong to similar trademarks and the phones involved in this case were infringing goods. As operators of the communication equipments, Mr. Xiao and Mr. Li should have some cognition with the trademark “Mi”. They explicitly labeled on the receipts that the phones they sold are “Mi” phones. The infringement spite was obvious and they didn’t provide the legal sources of their phones, so they should undertake the responsibility of stopping infringing, compensating for economic loss and reasonable costs. As for eliminating the influence by defendants and undertaking the responsibility of joint infringement by the market, the court thought that Xiaomi Corporation lack enough evidence to support the above requirements. As a result, the court finally judged that Mr. Xiao and Mr. Li stop infringing and compensate Xiaomi Corporation for economic loss and reasonable costs (a total of about 14 thousands). At present, the above judgment has come into force. Section 7, Chapter 7 of Part five of Guidelines For Patent Examination makes provisions for suspension procedure: Suspension of procedure refers to an action of the Patent Office to suspend the relevant procedures upon the request of a party concerned in a dispute over the ownership of right or under the request of the People’s Court when a dispute over the right to apply for a patent (or ownership of right) is accepted by the local intellectual property administrative authority or the People’s Court, or when the People’s Court has ordered the adoption of measures of property preservation for the right to apply for a patent (or the patent right). Besides, Section 7.1 makes explicit limit to the scope of suspension which is that except for the procedure of preparation for publication or announcement has started before the request for suspension being approved, almost a verity of other procedures relating to the right to apply for a patent (or patent right) will be in a suspended state. The invalid procedure of patent right also apply to the suspension procedure. This article proposes to discuss on the application of suspension procedure in invalid procedure according to a case. Company A filed a request for invalidation of a design patent owned by company B, and provided sufficient evidence. The design explicitly belongs to simple combination of existing elements of prior technologies, and is quite similar to existing design. The evidence provided by company A is very negative to company B, so this design patent is of great possibility to be declared to be invalid. However, company B, the patentee has applied this design to their products and has spent large amount of money for promotion. If this design is declared to be invalid, then company B will suffer a great loss. To delay or avoid the bad results resulting from the invalidation, company B submitted the documents of mediation issued by the local intellectual property authority to the Patent Reexamination Board in the invalid procedure, thus company B initiated the suspension procedure. The purpose of suspension is to protect the right of real oblige. In the process of patent application, rashly conducting the subsequent procedures without the knowledge of that who is the real oblige (there will be dispute over ownership) may lead to chaos and do harm to the real oblige. For example, who will pay the fee, who is the provisional favoree in the process of patent application, who is the patentee during the granting stage, the above said cannot be confirmed. In the process of patent application which is under examination, the patent right has yet to generate, then the suspension of examination will not do obvious harm to public rights. As for the applicants, suspension procedure only extends the time of examination and will not affect the technical contents as required to be protected by the patents and the prospection of grant. Even the examination time is extended, the real patentee can obtain protection by the means of provisional protection. So, the impact on applicants is limited. Therefore, if corresponding dispute over ownership occurs in the process of patent application, of course it will apply to the suspension procedure. When the real patentee is confirmed, corresponding procedures could be conducted. The invalid procedure has its own particularity. It initiates aiming at an existing patent right. The ownership of patent right does not affect the examination standard of judging whether the patent right should exist. In another word, whether the patent right is valid or not is independent from the ownership of the patent right. Article 47 of Patent Law stipulates that “the patent right declared to be invalid is deemed to be non-existent from the beginning”. The premise of dispute over ownership is that the patent right involved does exist. If the patent right should be declared to be invalid (namely, deemed to be non-existent from the beginning), then the dispute of ownership of the patent right has become less important. If there are quite explicit reasons why the patent right is invalid, then whether it need to apply to suspension procedure? Considering the procedural economy, if one party is inclined to delay the examination time of invalidation such as the above example, then the patentee can find another company to file request for dispute over ownership regarding the patent declared to be invalid, thus to suspend the process of invalidation through suspension procedure, even suspend several times to delay the time limit of hearing again and again. Further, the patentee who request suspension can further delay the examination cycle through the way that they do not agree with the mediation of local intellectual property administration and institute appeal. This obviously does against the economizing on procedures and causes terrible waste of administrative examination resources. The Guidelines of Patent Examination does not make explicit provisions that whether the suspension cannot be conducted when a party in the invalid procedure requests for suspension. However, we can refer to the corresponding provisions in other laws. For example, article 72 of the Implementation of Patent Law stipulates that: “Before the Patent Reexamination Board makes decisions and petitioner for invalidation withdraw his request or his invalidation request is deemed to have been withdrawn, it goes to the termination of the invalidation examination. But, the Patent Reexamination Board will not terminate the examination procedure if they can declare the invalidation of patent right or partial invalidation of patent right according to their examination works they have done.” Besides, article 9 of Provisions about the Applicable Laws of Hearing Patent Dispute issued by Supreme Court stipulates that: As for dispute cases of patent right over utility models and designs accepted by the People’s Court, defendants can request for invalidation during the period of response, then the People’s Court should suspend the litigation. But, in any of the following circumstances, the People’s Court can chose not to suspend the litigation. (4)Other circumstances which People’s Court thinks that they shouldn’t be suspended. It can be seen from the above provisions that in the administrative procedure of invalidation, even petitioners for invalidation withdraw the requests, the Patent Reexamination Board may not terminate the examination procedure. These provisions only aim at petitioners for invalidation in invalid procedure and do not consider conditions of patentee. It can be seen from the provisions that if a patent right does not comply with the relative provisions of patent law and should not be granted, then the invalidation cannot be terminated simply according to parties’ requirements, because exist of this kind of patent right is harmful to public interest. As an administrative examination department, the Patent Reexamination Board actually excises the supervision right of administrative examination of patents, especially in invalid procedures, this supervision right should not only consider interests of both parties, but also public interests. Patent rights which hold posts without qualifications should be terminated timely to ensure the public interests. Similarly, legal procedure of patent dispute litigation can’t stipulate the conditions of suspension. It can be easily seen from the non-suspension conditions of article 9 of Provisions about the Applicable Laws of Hearing Patent Dispute issued by Supreme Court (especially provisions of paragraph 1 and paragraph 2) that if there are not sufficient evidence which can overturn this patent right or defendant can provide sufficient evidence to prove the technologies used belong to existing technologies without proving whether it falls into the patent scope, then in the above said circumstances, patent litigation may not be suspended. These provisions sufficiently state that no matter in invalid procedure or in litigation procedure, conditions of suspension can’t be stipulated. It also states that dispute of patent rights seems like the civil dispute between petitioners and patentee, but actually relates to public interests. Whether a patent right exists or not will causes significant effects to public interests. Therefore, the above provisions of article 72 in Implementation of Patent Law anastomose with Provisions about the Applicable Laws of Hearing Patent Dispute in essence whose purpose is to prevent either party from delaying the time by taking advantage of invalid procedures, thus to avoid waste of administrative or judicial resources and at the meantime to settle the case as soon as possible to give the public a specific expectation. In addition, especially for utility models and designs, the protection period is 10 years and usually that invalidation was not initiated immediately when the patent was granted. More often, invalidation is proposed by others after a period of time, and at that time, the protection time only remains several years. If either party is inclined to delay the examination time, then probably the case can’t be settled during the protection period of utility models and designs. Otherwise, if the case is settled during the protection period, the party who wins the declaration has lost the precious time due to the closure of protection period. At last, win the litigation but lose the market. For the other party of invalidation, due to the inclined delay, the patent which should be declared to be invalid is in the pending state. Even if the patent has a great possibility of being declared to be invalid, but at this time, the patent can’t be declared to be invalid, thus relating products can’t be promoted to the market in time. From the point of market, it changes quickly. Merchants will probably miss the best time entering the market if they don’t promote their products to the market timely. According to article 47 of patent law, decisions which declare patents to be invalid don’t possess retrospective force in regard to various judgments, decisions and so on aiming at the patent. Pending patents which should be declared to be invalid may make various judgments and decisions which have been made come true, and this will make patentee obtain excessive interests. © Beijing ZBSD Patent &Trademark Agent Ltd.
Mr. Jian SHEN graduated from Zhengzhou University of Technology and started working in the Intellectual Property field since 1992. 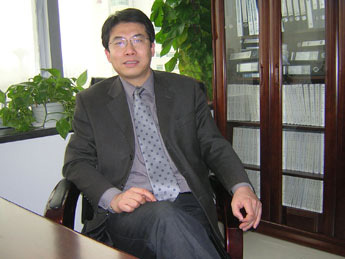 He set up Beijing ZBSD Patent & trademark Agent Ltd in 2003. As the general manager of ZBSD, he not only knows the practice of patent prosecution very well, but also has a broad range of experience in dealing with complicated cases relating to intellectual property. He currently concentrates his practice on declaration of invalidation, request for reexamination, patent invalidation administrative litigation, patent infringement cases, contract disputes, unfair competition and judicial expertise etc. His technical fields cover general machinery, mechanical engineering, physics, technology, metallurgy, mining, precision instruments, electronics fields, etc.